Do you remember getting an allowance? What did you buy with that money? Perhaps you spent it on candy, ice cream, or even saved it up to buy a toy. 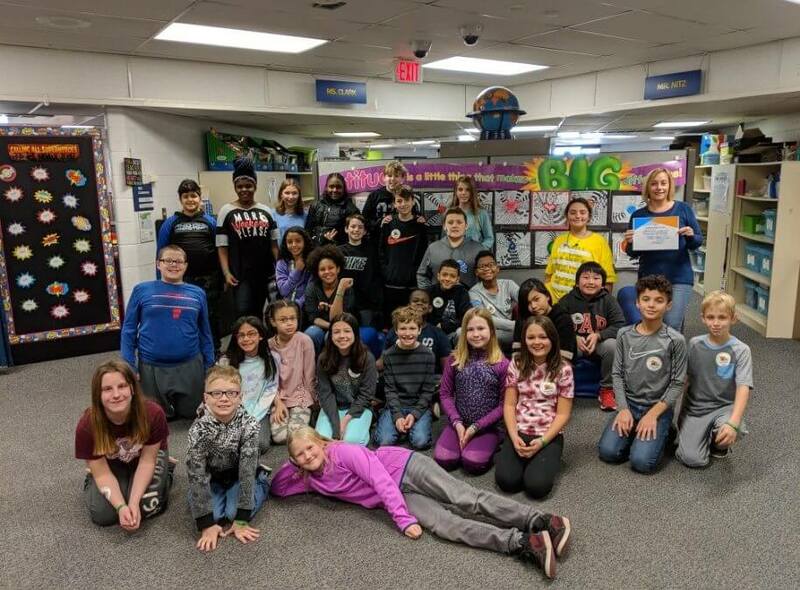 Children oftentimes think a lot about themselves and the things that affect them, but not the kids in Ms. Christine Clark’s 5th grade class at Pinewood Elementary School. They spent weeks learning about philanthropy and donating their spare change and even their allowances to helping others. In lieu of gifts during the holidays to Ms. Clark asked if they could think of an organization or cause to donate to. While studying sentence structures, there were many passages relating to animals, and one of the students raised their hand and asked if they could give donations to the Michigan Humane Society and ASPCA. Every day, for weeks, Ms. Clark would bring out a jar to collect donations. Students brought in spare change, their ice cream and Smencils money, and some even brought in their allowances. “Young kids should learn about philanthropy because many kids feel entitled nowadays and giving back to others helps them understand that the world is not just about them. It gets them thinking about other people and in this case, animals,” said Ms. Clark. Thank you to all the teachers out there that are forming our leaders of tomorrow! And a big thank you to all of our supporters and young philanthropists for caring so much for animals. Find out the different ways you can support the Michigan Humane Society.